Apparently, Prometheus is being considered a one-off movie. And perhaps we shouldn't view Alien: Covenant as its sequel. 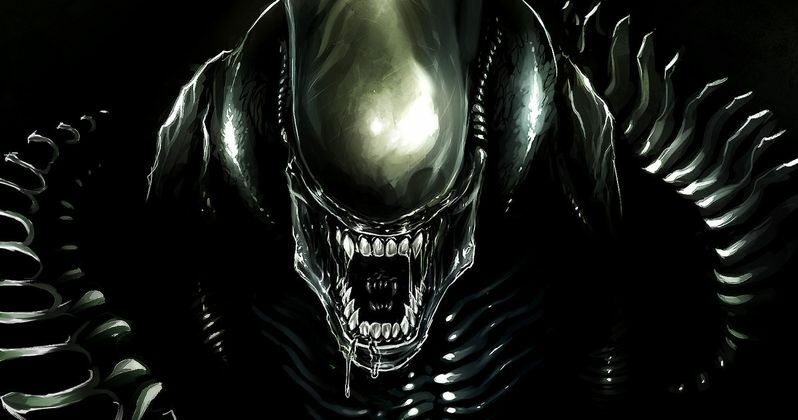 Instead, director Ridley Scott says that Alien: Covenant is the first in a planned trilogy that will directly link to his 1979 sci-fi horror classic Alien. Though, it will still share ties with Prometheus as well, bringing back star of that movie Michael Fassbender, who will reprise his role as the android David. Ridley Scott is currently in Australia, where he has begun pre-production on Alien: Covenant. He has shared a few more new details about the movie, confirming that there will be two more prequels to follow. The final of which will meet up with the beginning of Alien, taking a page out of the Rise of the Planet of the Apes playbook. Alien: Covenant is going to play out as an 'origin' story that answers some of the basic questions posed in Alien. We will learn who made the alien, where it came from and why. Ridley Scott explained the following. "It's a very complex story. It's an evolution of what I first did with Prometheus 1, Prometheus 1 was borne out of my frustration that on Alien 1 in 1979 - I only did one as I don't normally do sequels. I was amazed that in the 3 that followed that no-one asked the question "why the Alien, who made it and why?" Very basic questions. So I came up with the notion of Prometheus 1, which starts to indicate who might have made it and where it came from." Alien: Covenant will begin with a whole new crew of space travelers, who pilot the colony ship Covenant. They discover what they believe to be an uncharted paradise. But it is actually a dark, dangerous world ruled by its sole inhabitant, the android David. Ridley Scott continued, saying this about his next project. "So I'm now going to the next one, which is the next evolution directly connected with the first one, which was this Shaw, when he replaced Michael Fassbender in two pieces and we'll kind of pick it up there and it will evolve. When that's finished there'll be another one and then another one which will gradually drive into the back entrance of the film in 1979. So in other words, why was this space jockey there and why did he have an Alien inside him? And those questions will be answered." While Ridley Scott detested sequels early on in his career, he certainly seems to be warming up to the idea. Not only is he prepping three more Alien movies, he is also producing a sequel to his 1982 sci-fi classic Blade Runner. And he seems to be rashly inspired by Disney and their little indie movie called Star Wars. He goes onto say this. "Star Wars will be a juggernaut. Why do you think I'm doing sequels." Sydney's Fox Studios will be home for Alien: Covenant, with principle photography to kick off in March. No other casting has been announced at this time. As for Prometheus star Noomi Rapace? Her Elizabeth Shaw character will only have a very small role to play in this upcoming prequel. She will only be briefly seen in what amounts to nothing more than a cameo. Ridley Scott is keen on using mostly local Australian actors. While a lot of the movie will be shot in a studio, there will also be location shoots too. The director plans to utilize monumental forest and monumental rock formations. The entire production will last for 16 weeks, and it will contribute more than $43.3 million (AUS$60 million) to Sydney's economy and employ more than 600 local cast and crew. All three new prequels will be shot in Australia. Blade Runner is being shot in Budapest, where the majority of the filmmaker's last movie, The Martian, was shot.